Light up diamonds and horn! 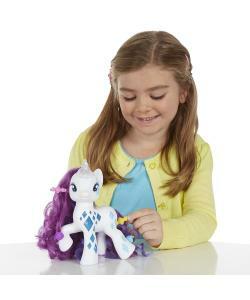 This electronic glamour glow Rarity figure is one generous, glamorous girl who shines like diamonds! 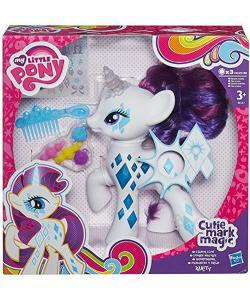 she lights up like magic and she comes with a decoration for her horn. 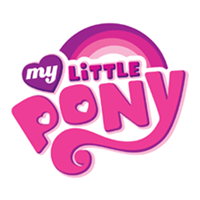 You can decorate her with the stickers and then style her hair and tail with the 4 barrettes. 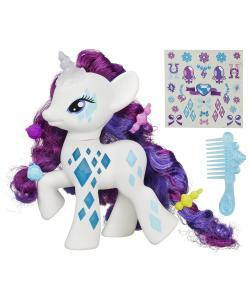 Between her horn, her cutie marks and her beautiful hair and tail, this is the most glamorous Rarity figure yet!